Wat Pho is one of the largest and oldest wats in Bangkok (with an area of 50 rai, 80,000 square metres), and is home to more than one thousand Buddha images, as well as one of the largest single Buddha images of 160 ft length: the Reclining Buddha. 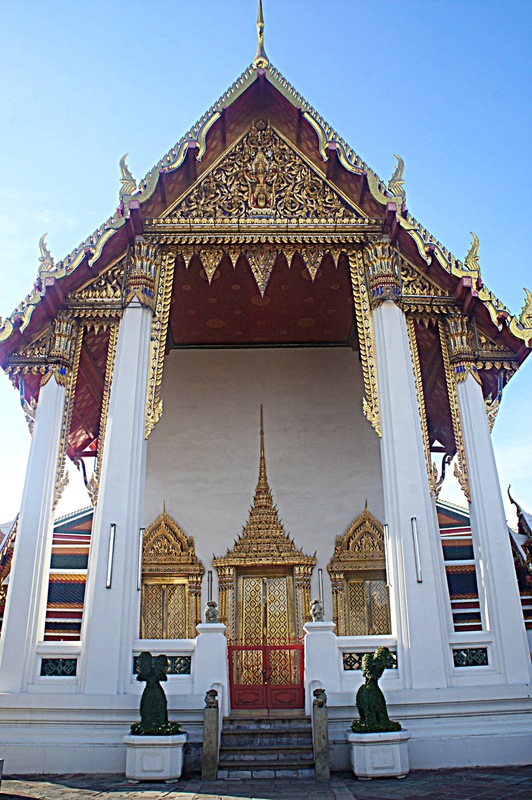 The Wat Pho complex consists of two walled compounds bisected by Soi Chetuphon running east–west. The northern walled compound is where the reclining Buddha and massage school are found. The southern walled compound, Tukgawee, is a working Buddhist monastery with monks in residence and a school. 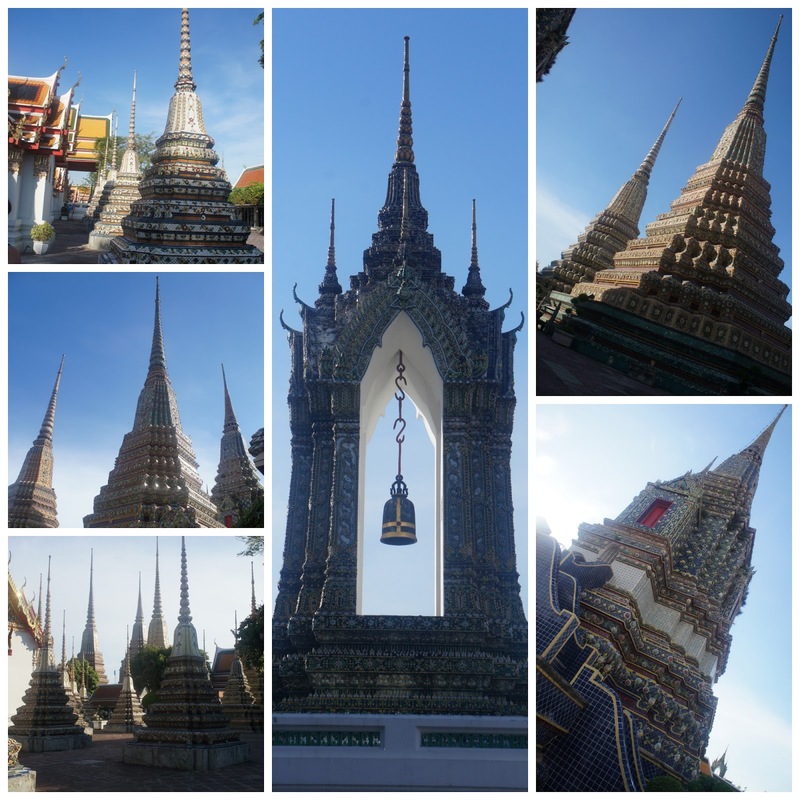 From here I'm going to take you to a photo tour at Wat Pho temple complex. This is our last stop from our Bangkok trip. Unfortunately we weren't able to visit the Grand Palace since it closes early at 3:30 pm so we decided to head straight to Subharnavhumi Airport to have dinner and wait for our flight back to Singapore which was delayed for an hour. When we exited the Wat Pho Temple Complex a taxi diver negotiated with us to drive us back to Phaya Thai station for 300 THB. We we're all very tired to look for another taxi driver, who will agree to take us to our destination with the taxi meter on, so we decided to take his proposal. From Phaya Thai station we took the sky train back to Subharnavhumi and so we left Bangkok. I really enjoyed my time in Bangkok. Truth is we haven't seen or feel any protest at all. A week after our trip, I've heard the news that Thailand is under Martial Law. I was so thankful to the Lord my God for putting us at the right place at the right time during our trip. It truly an awesome experience! !